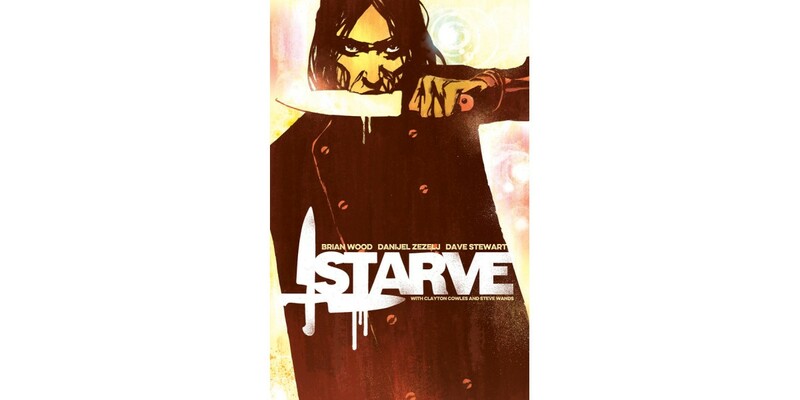 Brian Wood (Star Wars, DMZ, The Massive), Danijel Zezelj (Northlanders, Loveless), & Dave Stewart (THE WALKING DEAD, Star Wars) are cooking up a story set in the near future, where celebrity chefs are idolized and the reality television trend has taken an even more unhealthy turn in STARVE, VOL. 1. This collects issues #1-5 into trade paperback and will be available in January. STARVE, VOL. 1 (ISBN: 978-1-63215-546-7) hits comic book stores on Wednesday, January 13th and bookstores on Tuesday, January 19th, and will be available for $9.99. It can be ordered by retailers from Diamond Book Distributors with Diamond Code OCT150605. It can be pre-ordered now on Amazon, Barnes & Noble, and IndieBound.